"Electronic surveillance" redirects here. For surveillance of electronic computer systems, see Computer and network surveillance. Surveillance is used by governments for intelligence gathering, prevention of crime, the protection of a process, person, group or object, or the investigation of crime. It is also used by criminal organisations to plan and commit crimes, such as robbery and kidnapping, by businesses to gather intelligence, and by private investigators. Surveillance can be viewed as a violation of privacy, and as such is often opposed by various civil liberties groups and activists. Liberal democracies have laws which restrict domestic government and private use of surveillance, usually limiting it to circumstances where public safety is at risk. Authoritarian government seldom have any domestic restrictions, and international espionage is common among all types of countries. The area of surveillance is increasingly a topic of academic study, including through research centers, books, and peer-reviewed academic journals. "In the future, intelligence services might use the internet of things for identification, surveillance, monitoring, location tracking, and targeting for recruitment, or to gain access to networks or user credentials," Clapper said. There is far too much data on the Internet for human investigators to manually search through all of it. Therefore, automated Internet surveillance computers sift through the vast amount of intercepted Internet traffic to identify and report to human investigators the traffic that is considered interesting or suspicious. This process is regulated by targeting certain "trigger" words or phrases, visiting certain types of web sites, or communicating via email or online chat with suspicious individuals or groups. Billions of dollars per year are spent by agencies, such as the NSA, the FBI and the now-defunct Information Awareness Office, to develop, purchase, implement, and operate systems such as Carnivore, NarusInsight, and ECHELON to intercept and analyze all of this data to only extract the information which is useful to law enforcement and intelligence agencies. Computers can be a surveillance target because of the personal data stored on them. If someone is able to install software, such as the FBI's Magic Lantern and CIPAV, on a computer system, they can easily gain unauthorized access to this data. Such software could be installed physically or remotely. Another form of computer surveillance, known as van Eck phreaking, involves reading electromagnetic emanations from computing devices in order to extract data from them at distances of hundreds of meters. The NSA runs a database known as "Pinwale", which stores and indexes large numbers of emails of both American citizens and foreigners. Additionally, the NSA runs a program known as PRISM, which is a data mining system that gives the United States government direct access to information from technology companies. Through accessing this information, the government is able to obtain search history, emails, stored information, live chats, file transfers, and more. This program generated huge controversies in regards to surveillance and privacy, especially from U.S. citizens. The official and unofficial tapping of telephone lines is widespread. In the United States for instance, the Communications Assistance For Law Enforcement Act (CALEA) requires that all telephone and VoIP communications be available for real-time wiretapping by Federal law enforcement and intelligence agencies. Two major telecommunications companies in the U.S.—AT&T Inc. and Verizon—have contracts with the FBI, requiring them to keep their phone call records easily searchable and accessible for Federal agencies, in return for $1.8 million per year. Between 2003 and 2005, the FBI sent out more than 140,000 "National Security Letters" ordering phone companies to hand over information about their customers' calling and Internet histories. About half of these letters requested information on U.S. citizens. Law enforcement and intelligence services in the United Kingdom and the United States possess technology to activate the microphones in cell phones remotely, by accessing phones' diagnostic or maintenance features in order to listen to conversations that take place near the person who holds the phone. The StingRay tracker is an example of one of these tools used to monitor cell phone usage in the United States and the United Kingdom. Originally developed for counterterrorism purposes by the military, they work by broadcasting powerful signals that cause nearby cell phones to transmit their IMSI number, just as they would to normal cell phone towers. Once the phone is connected to the device, there is no way for the user to know that they are being tracked. The operator of the stingray is able to extract information such as location, phone calls, and text messages, but it is widely believed that the capabilities of the StingRay extend much further. A lot of controversy surrounds the StingRay because of its powerful capabilities and the secrecy that surrounds it. Mobile phones are also commonly used to collect location data. The geographical location of a mobile phone (and thus the person carrying it) can be determined easily even when the phone is not being used, using a technique known as multilateration to calculate the differences in time for a signal to travel from the cell phone to each of several cell towers near the owner of the phone. The legality of such techniques has been questioned in the United States, in particular whether a court warrant is required. Records for one carrier alone (Sprint), showed that in a given year federal law enforcement agencies requested customer location data 8 million times. In response to customers' privacy concerns in the post Edward Snowden era, Apple's iPhone 6 has been designed to disrupt investigative wiretapping efforts. The phone encrypts e-mails, contacts, and photos with a code generated by a complex mathematical algorithm that is unique to an individual phone, and is inaccessible to Apple. The encryption feature on the iPhone 6 has drawn criticism from FBI director James B. Comey and other law enforcement officials since even lawful requests to access user content on the iPhone 6 will result in Apple supplying "gibberish" data that requires law enforcement personnel to either break the code themselves or to get the code from the phone's owner. Because the Snowden leaks demonstrated that American agencies can access phones anywhere in the world, privacy concerns in countries with growing markets for smart phones have intensified, providing a strong incentive for companies like Apple to address those concerns in order to secure their position in the global market. Although the CALEA requires telecommunication companies to build into their systems the ability to carry out a lawful wiretap, the law has not been updated to address the issue of smart phones and requests for access to e-mails and metadata. The Snowden leaks show that the NSA has been taking advantage of this ambiguity in the law by collecting metadata on "at least hundreds of millions" of "incidental" targets from around the world. The NSA uses an analytic tool known as CO-TRAVELER in order to track people whose movements intersect and to find any hidden connections with persons of interest. The Snowden leaks have also revealed that the British Government Communications Headquarters (GCHQ) can access information collected by the NSA on American citizens. 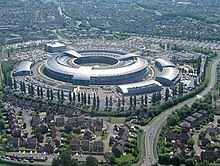 Once the data has been collected, the GCHQ can hold on to it for up to two years. The deadline can be extended with the permission of a "senior UK official". 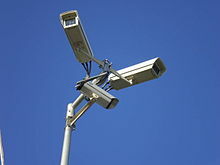 Surveillance cameras such as these are installed by the millions in many countries, and are nowadays monitored by automated computer programs instead of humans. As of 2016, there are about 350 million surveillance cameras worldwide. About 65% of these cameras are installed in Asia. The growth of CCTV has been slowing in recent years. In 2018, China was reported to have a huge surveillance network of over 170 million CCTV cameras with 400 million new cameras expected to be installed in the next three years, many of which use facial recognition technology. In the United Kingdom, the vast majority of video surveillance cameras are not operated by government bodies, but by private individuals or companies, especially to monitor the interiors of shops and businesses. According to 2011 Freedom of Information Act requests, the total number of local government operated CCTV cameras was around 52,000 over the entirety of the UK. The prevalence of video surveillance in the UK is often overstated due to unreliable estimates being requoted; for example one report in 2002 extrapolated from a very small sample to estimate the number of cameras in the UK at 4.2 million (of which 500,000 in Greater London[Note 1]). More reliable estimates put the number of private and local government operated cameras in the United Kingdom at around 1.85 million in 2011. In the Netherlands, one example city where there are cameras is The Hague. There, cameras are placed in city districts in which the most illegal activity is concentrated. Examples are the red-light districts and the train stations. As part of China's Golden Shield Project, several U.S. corporations, including IBM, General Electric, and Honeywell, have been working closely with the Chinese government to install millions of surveillance cameras throughout China, along with advanced video analytics and facial recognition software, which will identify and track individuals everywhere they go. They will be connected to a centralized database and monitoring station, which will, upon completion of the project, contain a picture of the face of every person in China: over 1.3 billion people. Lin Jiang Huai, the head of China's "Information Security Technology" office (which is in charge of the project), credits the surveillance systems in the United States and the U.K. as the inspiration for what he is doing with the Golden Shield Project. At Super Bowl XXXV in January 2001, police in Tampa, Florida, used Identix's facial recognition software, FaceIt, to scan the crowd for potential criminals and terrorists in attendance at the event (it found 19 people with pending arrest warrants). Governments often initially claim that cameras are meant to be used for traffic control, but many of them end up using them for general surveillance. For example, Washington, D.C. had 5,000 "traffic" cameras installed under this premise, and then after they were all in place, networked them all together and then granted access to the Metropolitan Police Department, so they could perform "day-to-day monitoring". 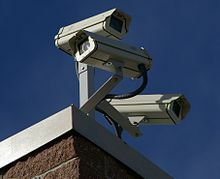 The development of centralized networks of CCTV cameras watching public areas – linked to computer databases of people's pictures and identity (biometric data), able to track people's movements throughout the city, and identify whom they have been with – has been argued by some to present a risk to civil liberties. 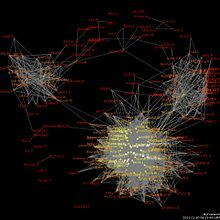 Trapwire is an example of such a network. The purpose of the SSNA algorithms program is to extend techniques of social network analysis to assist with distinguishing potential terrorist cells from legitimate groups of people.... In order to be successful SSNA will require information on the social interactions of the majority of people around the globe. Since the Defense Department cannot easily distinguish between peaceful citizens and terrorists, it will be necessary for them to gather data on innocent civilians as well as on potential terrorists. AT&T developed a programming language called "Hancock", which is able to sift through enormous databases of phone call and Internet traffic records, such as the NSA call database, and extract "communities of interest"—groups of people who call each other regularly, or groups that regularly visit certain sites on the Internet. AT&T originally built the system to develop "marketing leads", but the FBI has regularly requested such information from phone companies such as AT&T without a warrant, and, after using the data, stores all information received in its own databases, regardless of whether or not the information was ever useful in an investigation. Some people believe that the use of social networking sites is a form of "participatory surveillance", where users of these sites are essentially performing surveillance on themselves, putting detailed personal information on public websites where it can be viewed by corporations and governments. In 2008, about 20% of employers reported using social networking sites to collect personal data on prospective or current employees. Biometric surveillance is a technology that measures and analyzes human physical and/or behavioral characteristics for authentication, identification, or screening purposes. Examples of physical characteristics include fingerprints, DNA, and facial patterns. Examples of mostly behavioral characteristics include gait (a person's manner of walking) or voice. Facial recognition is the use of the unique configuration of a person's facial features to accurately identify them, usually from surveillance video. Both the Department of Homeland Security and DARPA are heavily funding research into facial recognition systems. The Information Processing Technology Office ran a program known as Human Identification at a Distance which developed technologies that are capable of identifying a person at up to 500 ft (150 m) by their facial features. Another form of behavioral biometrics, based on affective computing, involves computers recognizing a person's emotional state based on an analysis of their facial expressions, how fast they are talking, the tone and pitch of their voice, their posture, and other behavioral traits. This might be used for instance to see if a person's behavior is suspect (looking around furtively, "tense" or "angry" facial expressions, waving arms, etc.). A more recent development is DNA profiling, which looks at some of the major markers in the body's DNA to produce a match. The FBI is spending $1 billion to build a new biometric database, which will store DNA, facial recognition data, iris/retina (eye) data, fingerprints, palm prints, and other biometric data of people living in the United States. The computers running the database are contained in an underground facility about the size of two American football fields. The Los Angeles Police Department is installing automated facial recognition and license plate recognition devices in its squad cars, and providing handheld face scanners, which officers will use to identify people while on patrol. Facial thermographs are in development, which allow machines to identify certain emotions in people such as fear or stress, by measuring the temperature generated by blood flow to different parts of the face. Law enforcement officers believe that this has potential for them to identify when a suspect is nervous, which might indicate that they are hiding something, lying, or worried about something. In his paper in Ethics and Information Technology, Avi Marciano maps the harms caused by biometric surveillance, traces their theoretical origins, and brings these harms together in one integrative framework to elucidate their cumulative power. Marciano proposes four types of harms: Unauthorized use of bodily information, denial or limitation of access to physical spaces, bodily social sorting, and symbolic ineligibility through construction of marginality and otherness. Biometrics' social power, according to Marciano, derives from three main features: their complexity as "enigmatic technologies", their objective-scientific image, and their increasing agency, particularly in the context of automatic decision-making. Aerial surveillance is the gathering of surveillance, usually visual imagery or video, from an airborne vehicle—such as an unmanned aerial vehicle, helicopter, or spy plane. Military surveillance aircraft use a range of sensors (e.g. radar) to monitor the battlefield. 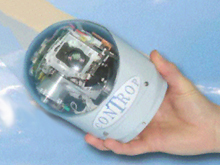 Digital imaging technology, miniaturized computers, and numerous other technological advances over the past decade have contributed to rapid advances in aerial surveillance hardware such as micro-aerial vehicles, forward-looking infrared, and high-resolution imagery capable of identifying objects at extremely long distances. For instance, the MQ-9 Reaper, a U.S. drone plane used for domestic operations by the Department of Homeland Security, carries cameras that are capable of identifying an object the size of a milk carton from altitudes of 60,000 feet, and has forward-looking infrared devices that can detect the heat from a human body at distances of up to 60 kilometers. In an earlier instance of commercial aerial surveillance, the Killington Mountain ski resort hired 'eye in the sky' aerial photography of its competitors' parking lots to judge the success of its marketing initiatives as it developed starting in the 1950s. The United Kingdom, as well, is working on plans to build up a fleet of surveillance UAVs ranging from micro-aerial vehicles to full-size drones, to be used by police forces throughout the U.K.
Programs such as the Heterogeneous Aerial Reconnaissance Team program developed by DARPA have automated much of the aerial surveillance process. They have developed systems consisting of large teams drone planes that pilot themselves, automatically decide who is "suspicious" and how to go about monitoring them, coordinate their activities with other drones nearby, and notify human operators if something suspicious is occurring. This greatly increases the amount of area that can be continuously monitored, while reducing the number of human operators required. Thus a swarm of automated, self-directing drones can automatically patrol a city and track suspicious individuals, reporting their activities back to a centralized monitoring station. In addition, researchers also investigate possibilities of autonomous surveillance by large groups of micro aerial vehicles stabilized by decentralized bio-inspired swarming rules. Data mining is the application of statistical techniques and programmatic algorithms to discover previously unnoticed relationships within the data. Data profiling in this context is the process of assembling information about a particular individual or group in order to generate a profile — that is, a picture of their patterns and behavior. Data profiling can be an extremely powerful tool for psychological and social network analysis. A skilled analyst can discover facts about a person that they might not even be consciously aware of themselves. Economic (such as credit card purchases) and social (such as telephone calls and emails) transactions in modern society create large amounts of stored data and records. In the past, this data was documented in paper records, leaving a "paper trail", or was simply not documented at all. Correlation of paper-based records was a laborious process—it required human intelligence operators to manually dig through documents, which was time-consuming and incomplete, at best. Information relating to many of these individual transactions is often easily available because it is generally not guarded in isolation, since the information, such as the title of a movie a person has rented, might not seem sensitive. However, when many such transactions are aggregated they can be used to assemble a detailed profile revealing the actions, habits, beliefs, locations frequented, social connections, and preferences of the individual. This profile is then used, by programs such as ADVISE and TALON, to determine whether the person is a military, criminal, or political threat. In addition to its own aggregation and profiling tools, the government is able to access information from third parties — for example, banks, credit companies or employers, etc. — by requesting access informally, by compelling access through the use of subpoenas or other procedures, or by purchasing data from commercial data aggregators or data brokers. The United States has spent $370 million on its 43 planned fusion centers, which are national network of surveillance centers that are located in over 30 states. The centers will collect and analyze vast amounts of data on U.S. citizens. It will get this data by consolidating personal information from sources such as state driver's licensing agencies, hospital records, criminal records, school records, credit bureaus, banks, etc. – and placing this information in a centralized database that can be accessed from all of the centers, as well as other federal law enforcement and intelligence agencies. Under United States v. Miller (1976), data held by third parties is generally not subject to Fourth Amendment warrant requirements. Corporate surveillance is the monitoring of a person or group's behavior by a corporation. The data collected is most often used for marketing purposes or sold to other corporations, but is also regularly shared with government agencies. It can be used as a form of business intelligence, which enables the corporation to better tailor their products and/or services to be desirable by their customers. Although there is a common belief that monitoring can increase productivity, it can also create consequences such as increasing chances of deviant behavior and creating punishments that are not equitable to their actions. Additionally, monitoring can cause resistance and backlash because it insinuates an employer’s suspicion and lack of trust. Data collected on individuals and groups can be sold to other corporations, so that they can use it for the aforementioned purpose. It can be used for direct marketing purposes, such as targeted advertisements on Google and Yahoo. These ads are tailored to the individual user of the search engine by analyzing their search history and emails (if they use free webmail services), which is kept in a database. For instance, Google, the world's most popular search engine, stores identifying information for each web search. An IP address and the search phrase used are stored in a database for up to 18 months. Google also scans the content of emails of users of its Gmail webmail service, in order to create targeted advertising based on what people are talking about in their personal email correspondences. Google is, by far, the largest Internet advertising agency. Their revenue model is based on receiving payments from advertisers for each page-visit resulting from a visitor clicking on a Google AdWords ad, hosted either on a Google service or a third-party website. Millions of sites place Google's advertising banners and links on their websites, in order to share this profit from visitors who click on the ads. Each page containing Google advertisements adds, reads, and modifies "cookies" on each visitor's computer. These cookies track the user across all of these sites, and gather information about their web surfing habits, keeping track of which sites they visit, and what they do when they are on these sites. This information, along with the information from their email accounts, and search engine histories, is stored by Google to use for building a profile of the user to deliver better-targeted advertising. According to the American Management Association and the ePolicy Institute that undertake an annual quantitative survey about electronic monitoring and surveillance with approximately 300 U.S. companies, "more than one fourth of employers have fired workers for misusing e-mail and nearly one third have fired employees for misusing the Internet". More than 40% of the companies monitor e-mail traffic of their workers, and 66% of corporations monitor Internet connections. In addition, most companies use software to block non-work related websites such as sexual or pornographic sites, game sites, social networking sites, entertainment sites, shopping sites, and sport sites. The American Management Association and the ePolicy Institute also stress that companies "tracking content, keystrokes, and time spent at the keyboard ... store and review computer files ... monitor the blogosphere to see what is being written about the company, and ... monitor social networking sites". Furthermore, about 30% of the companies had also fired employees for non-work related email and Internet usage such as "inappropriate or offensive language" and "viewing, downloading, or uploading inappropriate/offensive content". The United States government often gains access to these databases, either by producing a warrant for it, or by simply asking. The Department of Homeland Security has openly stated that it uses data collected from consumer credit and direct marketing agencies—such as Google—for augmenting the profiles of individuals whom it is monitoring. The FBI, Department of Homeland Security, and other intelligence agencies have formed an "information-sharing" partnership with over 34,000 corporations as part of their Infragard program. Organizations that have enemies who wish to gather information about the groups' members or activities face the issue of infiltration. In addition to operatives' infiltrating an organization, the surveilling party may exert pressure on certain members of the target organization to act as informants (i.e., to disclose the information they hold on the organization and its members). Fielding operatives is very expensive, and for governments with wide-reaching electronic surveillance tools at their disposal the information recovered from operatives can often be obtained from less problematic forms of surveillance such as those mentioned above. Nevertheless, human infiltrators are still common today. For instance, in 2007 documents surfaced showing that the FBI was planning to field a total of 15,000 undercover agents and informants in response to an anti-terrorism directive sent out by George W. Bush in 2004 that ordered intelligence and law enforcement agencies to increase their HUMINT capabilities. On May 25, 2007 the U.S. Director of National Intelligence Michael McConnell authorized the National Applications Office (NAO) of the Department of Homeland Security to allow local, state, and domestic Federal agencies to access imagery from military intelligence Reconnaissance satellites and Reconnaissance aircraft sensors which can now be used to observe the activities of U.S. citizens. The satellites and aircraft sensors will be able to penetrate cloud cover, detect chemical traces, and identify objects in buildings and "underground bunkers", and will provide real-time video at much higher resolutions than the still-images produced by programs such as Google Earth. One of the simplest forms of identification is the carrying of credentials. Some nations have an identity card system to aid identification, whilst others are considering it but face public opposition. Other documents, such as passports, driver's licenses, library cards, banking or credit cards are also used to verify identity. If the form of the identity card is "machine-readable", usually using an encoded magnetic stripe or identification number (such as a Social Security number), it corroborates the subject's identifying data. In this case it may create an electronic trail when it is checked and scanned, which can be used in profiling, as mentioned above. Radio Frequency Identification (RFID) tagging is the use of very small electronic devices (called "RFID tags") which are applied to or incorporated into a product, animal, or person for the purpose of identification and tracking using radio waves. The tags can be read from several meters away. They are extremely inexpensive, costing a few cents per piece, so they can be inserted into many types of everyday products without significantly increasing the price, and can be used to track and identify these objects for a variety of purposes. Some companies appear to be "tagging" their workers by incorporating RFID tags in employee ID badges. Workers in U.K. considered strike action in protest of having themselves tagged; they felt that it was dehumanizing to have all of their movements tracked with RFID chips. [vague] Some critics have expressed fears that people will soon be tracked and scanned everywhere they go. On the other hand, RFID tags in newborn baby ID bracelets put on by hospitals have foiled kidnappings. In a 2003 editorial, CNET News.com's chief political correspondent, Declan McCullagh, speculated that, soon, every object that is purchased, and perhaps ID cards, will have RFID devices in them, which would respond with information about people as they walk past scanners (what type of phone they have, what type of shoes they have on, which books they are carrying, what credit cards or membership cards they have, etc.). This information could be used for identification, tracking, or targeted marketing. As of 2012[update], this has largely not come to pass. In the U.S., police have planted hidden GPS tracking devices in people's vehicles to monitor their movements, without a warrant. In early 2009, they were arguing in court that they have the right to do this. Of the 321,545 law enforcement requests made to Verizon, 54,200 of these requests were for "content" or "location" information—not just cell phone numbers or IP addresses. Content information included the actual text of messages, emails and the wiretapping of voice or messaging content in real-time. A comparatively new off-the-shelf surveillance device is an IMSI-catcher, a telephone eavesdropping device used to intercept mobile phone traffic and track the movement of mobile phone users. Essentially a "fake" mobile tower acting between the target mobile phone and the service provider's real towers, it is considered a man-in-the-middle (MITM) attack. IMSI-catchers are used in some countries by law enforcement and intelligence agencies, but their use has raised significant civil liberty and privacy concerns and is strictly regulated in some countries. A human microchip implant is an identifying integrated circuit device or RFID transponder encased in silicate glass and implanted in the body of a human being. A subdermal implant typically contains a unique ID number that can be linked to information contained in an external database, such as personal identification, medical history, medications, allergies, and contact information. Several types of microchips have been developed in order to control and monitor certain types of people, such as criminals, political figures and spies,[clarification needed] a "killer" tracking chip patent was filed at the German Patent and Trademark Office (DPMA) around May 2009. See also: United States v. Spy Factory, Inc.
Covert listening devices and video devices, or "bugs", are hidden electronic devices which are used to capture, record, and/or transmit data to a receiving party such as a law enforcement agency. The U.S. has run numerous domestic intelligence operations, such as COINTELPRO, which have bugged the homes, offices, and vehicles of thousands of U.S. citizens, usually political activists, subversives, and criminals. As more people use faxes and e-mail the significance of surveilling the postal system is decreasing, in favor of Internet and telephone surveillance. But interception of post is still an available option for law enforcement and intelligence agencies, in certain circumstances. This is not a common practice, however, and entities like the US Army require high levels of approval to conduct. The U.S. Central Intelligence Agency and Federal Bureau of Investigation have performed twelve separate mail-opening campaigns targeted towards U.S. citizens. In one of these programs, more than 215,000 communications were intercepted, opened, and photographed. "Stakeout" redirects here. For other uses, see Stakeout (disambiguation). A stakeout is the coordinated surveillance of a location or person. Stakeouts are generally performed covertly and for the purpose of gathering evidence related to criminal activity. The term derives from the practice by land surveyors of using survey stakes to measure out an area before the main building project is commenced. The management of wildlife populations often requires surveillance. This includes, for example surveillance of (1) Invasive species location and abundance for more effective management, (2) illegal fishers and poachers to reduce harvest and overexploitation of natural resources, (3) the population abundances of endangered species to decrease the risk of extinction, and (4) wildlife diseases that can damage crops, agriculture and natural populations. Supporters of surveillance systems believe that these tools can help protect society from terrorists and criminals. They argue that surveillance can reduce crime by three means: by deterrence, by observation, and by reconstruction. Surveillance can deter by increasing the chance of being caught, and by revealing the modus operandi. This requires a minimal level of invasiveness. Another method on how surveillance can be used to fight criminal activity is by linking the information stream obtained from them to a recognition system (for instance, a camera system that has its feed run through a facial recognition system). This can for instance auto-recognize fugitives and direct police to their location. A distinction here has to be made however on the type of surveillance employed. Some people that say support video surveillance in city streets may not support indiscriminate telephone taps and vice versa. Besides the types, the way in how this surveillance is done also matters a lot; i.e. indiscriminate telephone taps are supported by much fewer people than say telephone taps only done to people suspected of engaging in illegal activities. Surveillance can also be used to give human operatives a tactical advantage through improved situational awareness, or through the use of automated processes, i.e. video analytics. Surveillance can help reconstruct an incident and prove guilt through the availability of footage for forensics experts. Surveillance can also influence subjective security if surveillance resources are visible or if the consequences of surveillance can be felt. Some of the surveillance systems (such as the camera system that has its feed run through a facial recognition system mentioned above) can also have other uses besides countering criminal activity. For instance, it can help on retrieving runaway children, abducted or missing adults and mentally disabled people. Other supporters simply believe that there is nothing that can be done about the loss of privacy, and that people must become accustomed to having no privacy. As Sun Microsystems CEO Scott McNealy said: "You have zero privacy anyway. Get over it." Another common argument is: "If you aren't doing something wrong then you don't have anything to fear." Which follows that if one is engaging in unlawful activities, in which case they do not have a legitimate justification for their privacy. However, if they are following the law the surveillance would not affect them. With the advent of programs such as the Total Information Awareness program and ADVISE, technologies such as high speed surveillance computers and biometrics software, and laws such as the Communications Assistance for Law Enforcement Act, governments now possess an unprecedented ability to monitor the activities of their subjects. Many civil rights and privacy groups, such as the Electronic Frontier Foundation and American Civil Liberties Union, have expressed concern that by allowing continual increases in government surveillance of citizens we will end up in a mass surveillance society, with extremely limited, or non-existent political and/or personal freedoms. Fears such as this have led to numerous lawsuits such as Hepting v. AT&T. Some critics state that the claim made by supporters should be modified to read: "As long as we do what we're told, we have nothing to fear.". For instance, a person who is part of a political group which opposes the policies of the national government, might not want the government to know their names and what they have been reading, so that the government cannot easily subvert their organization, arrest, or kill them. Other critics state that while a person might not have anything to hide right now, the government might later implement policies that they do wish to oppose, and that opposition might then be impossible due to mass surveillance enabling the government to identify and remove political threats. Further, other critics point to the fact that most people do have things to hide. For example, if a person is looking for a new job, they might not want their current employer to know this. Also if an employer wishes total privacy to watch over their own employee and secure their financial information it may become impossible, and they may not wish to hire those under surveillance. The most concern of detriment is securing the lives of those who live under total surveillance willingly, educating the public to those under peaceful watch while identifying terrorist and those who use the same surveillance systems and mechanisms in opposition to peace, against civilians, and to disclose lives removed from the laws of the land. In addition, a significant risk of private data collection stems from the fact that this risk is too much unknown to be readily assessed today. Storage is cheap enough to have data stored forever, and the models using which it will be analyzed in a decade from now cannot reasonably be foreseen. Some point to the blurring of lines between public and private places, and the privatization of places traditionally seen as public (such as shopping malls and industrial parks) as illustrating the increasing legality of collecting personal information. Traveling through many public places such as government offices is hardly optional for most people, yet consumers have little choice but to submit to companies' surveillance practices. Surveillance techniques are not created equal; among the many biometric identification technologies, for instance, face recognition requires the least cooperation. Unlike automatic fingerprint reading, which requires an individual to press a finger against a machine, this technique is subtle and requires little to no consent. Some critics, such as Michel Foucault, believe that in addition to its obvious function of identifying and capturing individuals who are committing undesirable acts, surveillance also functions to create in everyone a feeling of always being watched, so that they become self-policing. This allows the State to control the populace without having to resort to physical force, which is expensive and otherwise problematic. The concept of panopticism is a means of indirect control over a large populace through the uncertainty of surveillance. Michel Foucault analyzed the architecture of the prison panopticon, and realized that its success was not just in its ability to monitor but also its ability to not monitor without anyone knowing. Critics such as Derrick Jensen and George Draffan, argue that panopticism in the United States began in World War I when the issuing of passports became important for the tracking of citizens and possibly enemies of the state. Such surveillance continues today through government agencies in the form of tracking internet usage and library usage. With the development of digital technology, individuals have become increasingly perceptible to one another, as surveillance becomes virtual. Online surveillance is the utilization of the internet to observe one's activity. Corporations, citizens, and governments participate in tracking others' behaviours for motivations that arise out of business relations, to curiosity, to legality. In her book Superconnected, Chayko differentiates between two types of surveillance: vertical and horizontal. Vertical surveillance occurs when there is a dominant force, such as the government that is attempting to control or regulate the actions of a given society. Such powerful authorities often justify their incursions as a means to protect society from threats of violence or terrorism. Some individuals question when this becomes an infringement on civil rights. Horizontal diverges from vertical surveillance as the tracking shifts from an authoritative source to an everyday figure, such as a friend, coworker, or stranger that is interested in one's mundane activities. Individuals leave traces of information when they are online that reveal their interests and desires of which others observe. While this can allow people to become interconnected and develop social connections online, it can also increase potential risk to harm, such as cyberbullying or censoring/stalking by strangers, reducing privacy. Michel Foucault has expanded literature on discipline and power structures within society, specifically by developing Jeremy Bentham's notion of the panopticon. This metaphor has been used to illustrate the influence of surveillance on the individual, in addition to society as a collective. The panopticon is a circular prison design in which prison guards are located within the center of the facility, monitoring the prisoners who are invisible to one another. Although the inmates are not consistently observed, they are nevertheless obliged to abide by the rules due to the perception that they are under surveillance. This is similar to the contemporary prevalence of undercover police and highway trackers. An example of video surveillance is called closed-circuit television (CCTV), which are used to reduce crime and increase public safety. Regulation is maintained both through vertical and self-surveillance. People vs. Diaz (2011) was a court case in the realm of cell phone privacy, even though the decision was later overturned. In this case, Gregory Diaz was arrested during a sting operation for attempting to sell ecstasy. During his arrest, police searched Diaz's phone and found more incriminating evidence including SMS text messages and photographs depicting illicit activities. During his trial, Diaz attempted to have the information from his cell phone removed from evidence, but the courts deemed it as lawful and Diaz's appeal was denied on the California State Court level and, later, the Supreme Court level. Just three short years after, this decision was overturned in the case Riley vs. California (2014). Riley vs. California (2014) was an extremely vital Supreme Court case in which a man was arrested for his involvement in a drive-by shooting. A few days after the shooting the police made an arrest of the suspect (Riley), and, during the arrest, the police searched him. However, this search was not only of Riley's person, but also the police opened and searched his cell phone, finding pictures of other weapons, drugs, and of Riley showing gang signs. In court, the question arose whether searching the phone was lawful or if the search was protected by the 4th amendment of the constitution. The decision held that the search of Riley's cell phone during the arrest was illegal, and that it was protected by the 4th Amendment. Countersurveillance is the practice of avoiding surveillance or making surveillance difficult. Developments in the late twentieth century have caused counter surveillance to dramatically grow in both scope and complexity, such as the Internet, increasing prevalence of electronic security systems, high-altitude (and possibly armed) UAVs, and large corporate and government computer databases. Inverse surveillance is the practice of the reversal of surveillance on other individuals or groups (e.g., citizens photographing police). Well-known examples are George Holliday's recording of the Rodney King beating and the organization Copwatch, which attempts to monitor police officers to prevent police brutality. Counter-surveillance can be also used in applications to prevent corporate spying, or to track other criminals by certain criminal entities. It can also be used to deter stalking methods used by various entities and organizations. Sousveillance is inverse surveillance, involving the recording by private individuals, rather than government or corporate entities. George Orwell's novel Nineteen Eighty-Four portrays a fictional totalitarian surveillance society with a very simple (by today's standards) mass surveillance system consisting of human operatives, informants, and two-way "telescreens" in people's homes. Because of the impact of this book, mass-surveillance technologies are commonly called "Orwellian" when they are considered problematic. The novel mistrust highlights the negative effects from the overuse of surveillance at Reflection House. The central character Kerryn installs secret cameras to monitor her housemates – see also Paranoia. The book The Handmaid's Tale, as well as a film and TV series based on it, portray a totalitarian Christian theocracy where all citizens are kept under constant surveillance. In the book The Girl with the Dragon Tattoo, Lisbeth Salander uses computers to get information on people, as well as other common surveillance methods, as a freelancer. David Egger's novel The Circle exhibits a world where a single company called "The Circle" produces all of the latest and highest quality technologies from computers and smartphones, to surveillance cameras known as "See-Change cameras". This company becomes associated with politics when starting a movement where politicians go "transparent" by wearing See-Change cameras on their body to prevent keeping secrets from the public about their daily work activity. In this society, it becomes mandatory to share personal information and experiences because it is The Circle's belief that everyone should have access to all information freely. However, as Eggers illustrates, this takes a toll on the individuals and creates a disruption of power between the governments and the private company. The Circle presents extreme ideologies surrounding mandatory surveillance. Eamon Bailey, one of the Wise Men, or founders of The Circle, believes that possessing the tools to access information about anything or anyone, should be a human right given to all of the world's citizens. By eliminating all secrets, any behaviour that has been deemed shameful will either become normalized or no longer considered shocking. Negative actions will eventually be eradicated from society altogether, through the fear of being exposed to other citizens This would be achieved in part by everyone going transparent, something that Bailey highly supports, although it's notable that none of the Wise Men ever became transparent themselves. One major goal of The Circle is to have all of the world's information filtered through The Circle, a process they call "Completion". A single, private company would then have full access and control over all information and privacy of individuals and governments. Ty Gospodinov, the first founder of The Circle, has major concerns about the completion of the circle. He warns that this step would give The Circle too much power and control, and would quickly lead to totalitarianism. The Dead Kennedys' song "I Am The Owl" is about government surveillance and social engineering of political groups. The Vienna Teng song "Hymn of Acxiom" is about corporate data collection and surveillance. The film Gattaca portrays a society that uses biometric surveillance to distinguish between people who are genetically engineered "superior" humans and genetically natural "inferior" humans. In the movie Minority Report, the police and government intelligence agencies use micro aerial vehicles in SWAT operations and for surveillance purposes. HBO's crime-drama series The Sopranos regularly portrays the FBI's surveillance of the DiMeo Crime Family. Audio devices they use include "bugs" placed in strategic locations (e.g., in "I Dream of Jeannie Cusamano" and "Mr. Ruggerio's Neighborhood") and hidden microphones worn by operatives (e.g., in "Rat Pack") and informants (e.g., in "Funhouse", "Proshai, Livushka" and "Members Only"). Visual devices include hidden still cameras (e.g., in "Pax Soprana") and video cameras (e.g., in "Long Term Parking"). The movie THX-1138 portrays a society wherein people are drugged with sedatives and antidepressants, and have surveillance cameras watching them everywhere they go. The movie The Lives of Others portrays the monitoring of East Berlin by agents of the Stasi, the GDR's secret police. The movie The Conversation portrays many methods of audio surveillance. Jewel v. NSA, a lawsuit filed by the Electronic Frontier Foundation (EFF) against the National Security Agency (NSA) and several high-ranking U.S. government officials charging an "illegal and unconstitutional program of dragnet communications surveillance"
Mail Isolation Control and Tracking and Mail cover, programs to log metadata about all postal mail sent and received in the U.S.
NSA call database, a database containing metadata for hundreds of billions of telephone calls made in the U.S.
^ Furthermore, the figure of 500,000 for Greater London is often confused with the figure for the local government and police operated cameras in the City of London, which was about 650 in 2011. ^ Lyon, David. 2007. Surveillance Studies: An Overview. Cambridge: Polity Press. ^ Clarke, R. (1988). Information technology and dataveillance. Communications of the ACM, 31(5), 498–512. ^ "Oppose video surveillance in our nation's capital". ACLU. org. Retrieved May 6, 2015. ^ "Stop watching us – A rally against mass surveillance". stopwatching.us. Retrieved May 6, 2015. ^ Marx, Gary T. (2015). "Surveillance Studies". In Wright, James D. (ed.). International Encyclopedia of the Social & Behavioral Sciences (Second Edition). Oxford: Elsevier. pp. 733–741. doi:10.1016/b978-0-08-097086-8.64025-4. ISBN 9780080970875. ^ "The Surveillance Studies Centre | A multi-disciplinary & international research centre at Queen's University". www.sscqueens.org. Retrieved June 3, 2017. ^ 1948–, Lyon, David (2007). Surveillance studies : an overview. Polity. ISBN 9780745635927. OCLC 145121196. ^ "Introduction to Surveillance Studies". CRC Press. Retrieved June 3, 2017. ^ E., Dubrofsky, Rachel; Shoshana., Magnet (June 12, 2015). Feminist surveillance studies. ISBN 9780822358923. OCLC 883647071. ^ "Surveillance & Society". ojs.library.queensu.ca. Retrieved June 3, 2017. ^ Ackerman, Spencer; Thielman, Sam (February 9, 2016). "US intelligence chief: we might use the internet of things to spy on you". The Guardian. Retrieved February 18, 2016. ^ Diffie, Whitfield; Susan Landau (August 2008). "Internet Eavesdropping: A Brave New World of Wiretapping". Scientific American. Retrieved March 13, 2009. ^ a b "CALEA Archive – Electronic Frontier Foundation". Electronic Frontier Foundation (website). Archived from the original on May 3, 2009. Retrieved March 14, 2009. ^ a b "CALEA: The Perils of Wiretapping the Internet". Electronic Frontier Foundation (website). Retrieved March 14, 2009. ^ a b "CALEA: Frequently Asked Questions". Electronic Frontier Foundation (website). September 20, 2007. Retrieved March 14, 2009. ^ Hill, Michael (October 11, 2004). "Government funds chat room surveillance research". USA Today. Associated Press. Retrieved March 19, 2009. ^ McCullagh, Declan (January 30, 2007). "FBI turns to broad new wiretap method". ZDNet News. Retrieved September 26, 2014. ^ "FBI's Secret Spyware Tracks Down Teen Who Made Bomb Threats". Wired Magazine. July 18, 2007. ^ Van Eck, Wim (1985). "Electromagnetic Radiation from Video Display Units: An Eavesdropping Risk?" (PDF). Computers & Security. 4 (4): 269–286. CiteSeerX 10.1.1.35.1695. doi:10.1016/0167-4048(85)90046-X. ^ Risen, James; Lichtblau, Eric (June 16, 2009). "E-Mail Surveillance Renews Concerns in Congress". New York Times. pp. A1. Retrieved June 30, 2009. ^ Ambinder, Marc (June 16, 2009). "Pinwale And The New NSA Revelations". The Atlantic. Retrieved June 30, 2009. ^ Greenwald; Ewen, Glen; MacAskill (June 6, 2013). "NSA Prism program taps in to user data of Apple, Google and others" (PDF). The Guardian. Retrieved February 1, 2017. ^ Sottek, T.C. ; Kopfstein, Janus (July 17, 2013). "Everything you need to know about PRISM". The Verge. Retrieved February 13, 2017. ^ Singel, Ryan (September 10, 2007). "Rogue FBI Letters Hint at Phone Companies' Own Data Mining Programs – Updated". Threat Level. Wired. Retrieved March 19, 2009. ^ Roland, Neil (March 20, 2007). "Mueller Orders Audit of 56 FBI Offices for Secret Subpoenas". Bloomberg News. Retrieved March 19, 2009. ^ Piller, Charles; Eric Lichtblau (July 29, 2002). "FBI Plans to Fight Terror With High-Tech Arsenal". LA Times. Retrieved March 14, 2009. ^ Schneier, Bruce (December 5, 2006). "Remotely Eavesdropping on Cell Phone Microphones". Schneier On Security. Retrieved December 13, 2009. ^ a b McCullagh, Declan; Anne Broache (December 1, 2006). "FBI taps cell phone mic as eavesdropping tool". CNet News. Archived from the original on November 10, 2013. Retrieved March 14, 2009. ^ a b Odell, Mark (August 1, 2005). "Use of mobile helped police keep tabs on suspect". Financial Times. Retrieved March 14, 2009. ^ a b "Telephones". Western Regional Security Office (NOAA official site). 2001. Retrieved March 22, 2009. ^ "Can You Hear Me Now?". ABC News: The Blotter. Archived from the original on August 25, 2011. Retrieved December 13, 2009. ^ Coughlin, Kevin (December 13, 2006). "Even if they're off, cellphones allow FBI to listen in". The Seattle Times. Retrieved December 14, 2009. ^ Hampton, Brittany (2012). "From Smartphones to Stingrays: Can the Fourth Amendment Keep up with the Twenty-First Century Note". University of Louisville Law Review. Fifty One: 159–176 – via Law Journal Library. ^ a b "Tracking a suspect by mobile phone". BBC News. August 3, 2005. Retrieved March 14, 2009. ^ a b Miller, Joshua (March 14, 2009). "Cell Phone Tracking Can Locate Terrorists – But Only Where It's Legal". FOX News. Archived from the original on March 18, 2009. Retrieved March 14, 2009. ^ Samuel, Ian (2008). "Warrantless Location Tracking". N.Y.U. Law Review. SSRN 1092293. ^ Zetter, Kim (December 1, 2009). "Threat Level Privacy, Crime and Security Online Feds 'Pinged' Sprint GPS Data 8 Million Times Over a Year". Wired Magazine: Threat Level. Retrieved December 5, 2009. ^ "Greenstone Digital Library Software". snowdenarchive.cjfe.org. Retrieved June 3, 2017. ^ a b c Sanger, David (September 26, 2014). "Signaling Post-Snowden Era, New iPhone Locks Out N.S.A". New York Times. Retrieved November 1, 2014. ^ a b c Gellman, Barton (December 4, 2013). "NSA tracking cellphone locations worldwide, Snowden documents show". The Washington Post. Retrieved November 1, 2014. ^ Nye, James (October 26, 2014). "British spies can go through Americans' telephone calls and emails without warrant revelas legal challenge in the UK". Mail Online. Retrieved November 1, 2014. ^ "Rise of Surveillance Camera Installed Base Slows". May 5, 2016. Retrieved January 5, 2017. ^ "Smart cameras catch man in 60,000 crowd". BBC News. April 13, 2018. Retrieved April 13, 2018. ^ Schorn, Daniel (September 6, 2006). "We're Watching: How Chicago Authorities Keep An Eye On The City". CBS News. Retrieved March 13, 2009. ^ a b "The Price of Privacy: How local authorities spent £515m on CCTV in four years" (PDF). Big Brother Watch. February 2012. p. 30. Retrieved February 4, 2015. ^ "FactCheck: how many CCTV cameras?". Channel 4 News. June 18, 2008. Retrieved May 8, 2009. ^ "You're being watched: there's one CCTV camera for every 32 people in UK – Research shows 1.85m machines across Britain, most of them indoors and privately operated". The Guardian. March 2, 2011. Retrieved January 7, 2017 ; "In the press: How the media is reporting the 1.85 million cameras story". Security News Desk. March 3, 2011. Retrieved January 7, 2017. ^ "CCTV in London" (PDF). Retrieved July 22, 2009. ^ "How many cameras are there?". CCTV User Group. June 18, 2008. Archived from the original on October 23, 2008. Retrieved May 8, 2009. ^ Haag, Den. "Camera surveillance". Archived from the original on October 8, 2016. Retrieved December 2, 2016. ^ a b Klein, Naomi (May 29, 2008). "China's All-Seeing Eye". Rolling Stone. Retrieved March 20, 2009. ^ "Big Brother To See All, Everywhere". CBS News. Associated Press. July 1, 2003. Retrieved September 26, 2014. ^ Bonsor, K. (September 4, 2001). "How Facial Recognition Systems Work". Retrieved June 18, 2006. ^ McNealy, Scott. "Privacy is (Virtually) Dead". Retrieved December 24, 2006. ^ Roebuck, Kevin (October 24, 2012). Communication Privacy Management. ISBN 9781743332900. ^ "WIKILEAKS: Surveillance Cameras Around The Country Are Being Used In A Huge Spy Network". Retrieved October 5, 2016. ^ "EPIC Video Surveillance Information Page". EPIC. Retrieved March 13, 2009. ^ Hedgecock, Sarah (August 14, 2012). "TrapWire: The Less-Than-Advertised System To Spy On Americans". The Daily Beast. Retrieved September 13, 2012. ^ Keefe, Patrick (March 12, 2006). "Can Network Theory Thwart Terrorists?". New York Times. ^ a b Albrechtslund, Anders (March 3, 2008). "Online Social Networking as Participatory Surveillance". First Monday. 13 (3). Retrieved March 14, 2009. ^ Fuchs, Christian (2009). Social Networking Sites and the Surveillance Society. A Critical Case Study of the Usage of studiVZ, Facebook, and MySpace by Students in Salzburg in the Context of Electronic Surveillance (PDF). Salzburg and Vienna: Forschungsgruppe Unified Theory of Information. ISBN 978-3-200-01428-2. Retrieved July 28, 2012. ^ Marks, Paul (June 9, 2006). "Pentagon sets its sights on social networking websites". New Scientist. Retrieved March 16, 2009. ^ Kawamoto, Dawn (June 9, 2006). "Is the NSA reading your MySpace profile?". CNET News. Retrieved March 16, 2009. ^ Ethier, Jason. "Current Research in Social Network Theory". Northeastern University College of Computer and Information Science. Archived from the original on February 26, 2015. Retrieved March 15, 2009. ^ Ressler, Steve (July 2006). "Social Network Analysis as an Approach to Combat Terrorism: Past, Present, and Future Research". Homeland Security Affairs. II (2). Retrieved March 14, 2009. ^ "DyDAn Research Blog". DyDAn Research Blog (official blog of DyDAn). Retrieved December 20, 2009. ^ a b Singel, Ryan (October 29, 2007). "AT&T Invents Programming Language for Mass Surveillance". Threat Level. Wired. Retrieved March 19, 2009. ^ Singel, Ryan (October 16, 2007). "Legally Questionable FBI Requests for Calling Circle Info More Widespread than Previously Known". Threat Level. Wired. Retrieved March 19, 2009. ^ Havenstein, Heather (September 12, 2008). "One in five employers uses social networks in hiring process". Computer World. Archived from the original on September 23, 2008. Retrieved March 14, 2009. ^ Woodward, John; Christopher Horn; Julius Gatune; Aryn Thomas (2003). Biometrics: A Look at Facial Recognition. RAND Corporation. ISBN 978-0-8330-3302-4. Retrieved March 15, 2009. ^ Frank, Thomas (May 10, 2007). "Face recognition next in terror fight". USA Today. Retrieved March 16, 2009. ^ Vlahos, James (January 2008). "Surveillance Society: New High-Tech Cameras Are Watching You". Popular Mechanics. Archived from the original on December 19, 2007. Retrieved March 14, 2009. ^ Nakashima, Ellen (December 22, 2007). "FBI Prepares Vast Database Of Biometrics: $1 Billion Project to Include Images of Irises and Faces". Washington Post. pp. A01. Retrieved May 6, 2009. ^ Arena, Kelly; Carol Cratty (February 4, 2008). "FBI wants palm prints, eye scans, tattoo mapping". CNN. Retrieved March 14, 2009. ^ Gross, Grant (February 13, 2008). "Lockheed wins $1 billion FBI biometric contract". IDG News Service. InfoWorld. Retrieved March 18, 2009. ^ "LAPD: We Know That Mug". Wired Magazine. Associated Press. December 26, 2004. Retrieved March 18, 2009. ^ Mack, Kelly. "LAPD Uses Face Recognition Technology To Fight Crime". NBC4 TV (transcript from Officer.com). Archived from the original on March 30, 2010. Retrieved December 20, 2009. ^ Willon, Phil (September 17, 2009). "LAPD opens new high-tech crime analysis center". LA Times. Retrieved December 20, 2009. ^ a b Dotinga, Randy (October 14, 2004). "Can't Hide Your Lying ... Face?". Wired Magazine. Retrieved March 18, 2009. ^ Boyd, Ryan. "MQ-9 Reaper". Retrieved October 5, 2016. ^ Friedersdorf, Conor (March 10, 2016). "The Rapid Rise of Federal Surveillance Drones Over America". Retrieved October 5, 2016. ^ Edwards, Bruce, "Killington co-founder Sargent dead at 83" Archived September 4, 2015, at the Wayback Machine, Rutland Herald, November 9, 2012. Retrieved December 10, 2012. ^ McCullagh, Declan (March 29, 2006). "Drone aircraft may prowl U.S. skies". CNet News. Retrieved March 14, 2009. ^ a b Warwick, Graham (June 12, 2007). "US police experiment with Insitu, Honeywell UAVs". FlightGlobal.com. Retrieved March 13, 2009. ^ La Franchi, Peter (July 17, 2007). "UK Home Office plans national police UAV fleet". Flight International. Retrieved March 13, 2009. ^ "No Longer Science Fiction: Less Than Lethal & Directed Energy Weapons". International Online Defense Magazine. February 22, 2005. Retrieved March 15, 2009. ^ "HART Overview" (PDF). IPTO (DARPA) – Official website. August 2008. Archived from the original (PDF) on December 5, 2008. Retrieved March 15, 2009. ^ "BAA 04-05-PIP: Heterogeneous Airborne Reconnaissance Team (HART)" (PDF). Information Processing Technology Office (DARPA) – Official Website. December 5, 2003. Archived from the original (PDF) on November 27, 2008. Retrieved March 16, 2009. ^ Sirak, Michael (November 29, 2007). "DARPA, Northrop Grumman Move Into Next Phase of UAV Control Architecture". Defense Daily. Archived from the original on March 9, 2012. Retrieved March 16, 2009. ^ Saska, M.; Chudoba, J.; Preucil, L.; Thomas, J.; Loianno, G.; Tresnak, A.; Vonasek, V.; Kumar, V. Autonomous Deployment of Swarms of Micro-Aerial Vehicles in Cooperative Surveillance. In Proceedings of 2014 International Conference on Unmanned Aircraft Systems (ICUAS). 2014. ^ Saska, M.; Vakula, J.; Preucil, L. Swarms of Micro Aerial Vehicles Stabilized Under a Visual Relative Localization. In ICRA2014: Proceedings of 2014 IEEE International Conference on Robotics and Automation. 2014. ^ Hildebrandt, Mireille; Serge Gutwirth (2008). Profiling the European Citizen: Cross Disciplinary Perspectives. Dordrecht: Springer. ISBN 978-1-4020-6913-0. ^ Clayton, Mark (February 9, 2006). "US Plans Massive Data Sweep". Christian Science Monitor. Retrieved March 13, 2009. ^ Flint, Lara (September 24, 2003). "Administrative Subpoenas for the FBI: A Grab for Unchecked Executive Power". The Center For Democracy & Technology (official site). Archived from the original on March 8, 2009. Retrieved March 20, 2009. ^ ""National Network" of Fusion Centers Raises Specter of COINTELPRO". EPIC Spotlight on Surveillance. June 2007. Retrieved March 14, 2009. ^ Anthony, Denise (2017). "Toward a Sociology of Privacy". Annual Review of Sociology. 43 (1): 249–269. doi:10.1146/annurev-soc-060116-053643. ^ Story, Louise (November 1, 2007). "F.T.C. to Review Online Ads and Privacy". New York Times. Retrieved March 17, 2009. ^ Soghoian, Chris (September 11, 2008). "Debunking Google's log anonymization propaganda". CNET News. Retrieved March 21, 2009. ^ a b Joshi, Priyanki (March 21, 2009). "Every move you make, Google will be watching you". Business Standard. Retrieved March 21, 2009. ^ "Advertising and Privacy". Google (company page). 2009. Retrieved March 21, 2009. ^ a b c American Management Association and the ePolicy Institute (2008). Electronic Monitoring and Surveillance 2007 Survey Archived August 1, 2012, at the Wayback Machine. Retrieved July 27, 2012. ^ Allmer, Thomas (2012). Towards a Critical Theory of Surveillance in Informational Capitalism. Frankfurt am Main: Peter Lang. ^ Drehle, David Von. "The Surveillance Society". Time. ISSN 0040-781X. Retrieved October 5, 2016. ^ Vlahos, Kelley (August 1, 2002). "Store Customer Cards a Source for FBI?". FOX News. Archived from the original on May 12, 2008. Retrieved March 17, 2009. ^ anonymous (January 26, 2006). "Information on the Confidential Source in the Auburn Arrests". Portland Indymedia. Retrieved March 13, 2009. ^ Myers, Lisa (December 14, 2005). "Is the Pentagon spying on Americans?". NBC Nightly News. msnbc.com. Retrieved March 13, 2009. ^ "The Use of Informants in FBI Domestic Intelligence Investigations". Final Report: Book III, Supplementary Detailed Staff Reports on Intelligence Activities and the Rights of Americans. U.S. Senate Select Committee to Study Governmental Operations with Respect to Intelligence Activities. April 23, 1976. pp. 225–270. Retrieved March 13, 2009. ^ "Secret Justice: Criminal Informants and America's Underground Legal System | Prison Legal News". www.prisonlegalnews.org. Retrieved October 5, 2016. ^ Ross, Brian (July 25, 2007). "FBI Proposes Building Network of U.S. Informants". Blotter. ABC News. Retrieved March 13, 2009. ^ "U.S. Reconnaissance Satellites: Domestic Targets". National Security Archive. Retrieved March 16, 2009. ^ Block, Robert (August 15, 2007). "U.S. to Expand Domestic Use Of Spy Satellites". Wall Street Journal. Retrieved March 14, 2009. ^ Gorman, Siobhan (October 1, 2008). "Satellite-Surveillance Program to Begin Despite Privacy Concerns". The Wall Street Journal. Retrieved March 16, 2009. ^ "Fact Sheet: National Applications Office". Department of Homeland Security (official website). August 15, 2007. Archived from the original on March 11, 2009. Retrieved March 16, 2009. ^ a b Warrick, Joby (August 16, 2007). "Domestic Use of Spy Satellites To Widen". Washington Post. pp. A01. Retrieved March 17, 2009. ^ Shrader, Katherine (September 26, 2004). "Spy imagery agency watching inside U.S." USA Today. Associated Press. Retrieved March 17, 2009. ^ a b "Two Stories Highlight the RFID Debate". RFID Journal. July 19, 2005. Retrieved March 23, 2012. ^ a b Lewan, Todd (July 21, 2007). "Microchips in humans spark privacy debate". USA Today. Associated Press. Retrieved March 17, 2009. ^ Gardener, W. David (July 15, 2004). "RFID Chips Implanted In Mexican Law-Enforcement Workers". Information Week. Retrieved March 17, 2009. ^ Campbell, Monica (August 4, 2004). "Law enforcement in Mexico goes a bit bionic". Christian Science Monitor. Retrieved March 17, 2009. ^ McCullagh, Declan (January 13, 2003). "RFID Tags: Big Brother in small packages". CNET News. Retrieved July 24, 2012. ^ Crowder, Stan, and Turvery E. Brent. Ethical Justice: Applied Issues for Criminal Justice Students and Professionals. 1st ed. Academic Press, 2013. p150. Print. ^ Claburn, Thomas (March 4, 2009). "Court Asked To Disallow Warrantless GPS Tracking". Information Week. Retrieved March 18, 2009. ^ Hilden, Julie (April 16, 2002). "What legal questions are the new chip implants for humans likely to raise?". CNN.com (FindLaw). Retrieved March 17, 2009. ^ Kappeler, Victor. "Forget the NSA: Police May be a Greater Threat to Privacy". ^ Wolf, Paul. "COINTELPRO". (online collection of historical documents). Retrieved March 14, 2009. ^ "U.S. Army Intelligence Activities" (PDF). Archived from the original (PDF) on August 8, 2015. Retrieved 25 May 2015. ^ "Domestic CIA and FBI Mail Opening Programs" (PDF). Final Report: Book III, Supplementary Detailed Staff Reports on Intelligence Activities and the Rights of Americans. U.S. Senate Select Committee to Study Governmental Operations with Respect to Intelligence Activities. April 23, 1976. pp. 559–678. Archived from the original (PDF) on May 5, 2011. Retrieved March 13, 2009. ^ Goldstein, Robert (2001). Political Repression in Modern America. University of Illinois Press. ISBN 978-0-252-06964-2. ^ Hauser, Cindy E.; McCarthy, Michael A. (July 1, 2009). "Streamlining 'search and destroy': cost-effective surveillance for invasive species management". Ecology Letters. 12 (7): 683–692. doi:10.1111/j.1461-0248.2009.01323.x. ISSN 1461-0248. PMID 19453617. ^ Holden, Matthew H.; Nyrop, Jan P.; Ellner, Stephen P. (June 1, 2016). "The economic benefit of time-varying surveillance effort for invasive species management". Journal of Applied Ecology. 53 (3): 712–721. doi:10.1111/1365-2664.12617. ISSN 1365-2664. ^ Flewwelling, Peter; Nations, Food and Agriculture Organization of the United (January 1, 2003). Recent Trends in Monitoring Control and Surveillance Systems for Capture Fisheries. Food & Agriculture Org. ISBN 9789251048764. ^ Yang, Rong; Ford, Benjamin; Tambe, Milind; Lemieux, Andrew (January 1, 2014). Adaptive Resource Allocation for Wildlife Protection Against Illegal Poachers. Proceedings of the 2014 International Conference on Autonomous Agents and Multi-agent Systems. AAMAS '14. Richland, SC: International Foundation for Autonomous Agents and Multiagent Systems. pp. 453–460. ISBN 9781450327381. ^ Mörner, T.; Obendorf, D. L.; Artois, M.; Woodford, M. H. (April 1, 2002). "Surveillance and monitoring of wildlife diseases". Revue Scientifique et Technique (International Office of Epizootics). 21 (1): 67–76. doi:10.20506/rst.21.1.1321. ISSN 0253-1933. PMID 11974631. ^ Sprenger, Polly (January 26, 1999). "Sun on Privacy: 'Get Over It'". Wired Magazine. Retrieved March 20, 2009. ^ Baig, Edward; Marcia Stepanek; Neil Gross (April 5, 1999). "Privacy". Business Week. Archived from the original on October 17, 2008. Retrieved March 20, 2009. ^ Solove, Daniel (2007). "'I've Got Nothing to Hide' and Other Misunderstandings of Privacy". San Diego Law Review. 44: 745. SSRN 998565. ^ a b c "Is the U.S. Turning Into a Surveillance Society?". American Civil Liberties Union. Retrieved March 13, 2009. ^ a b "Bigger Monster, Weaker Chains: The Growth of an American Surveillance Society" (PDF). American Civil Liberties Union. January 15, 2003. Retrieved March 13, 2009. ^ "Against the collection of private data: The unknown risk factor". March 8, 2012. ^ "Privacy fears over online surveillance footage broadcasts in China". December 13, 2017. ^ Marx, G. T., & Muschert, G. W. (2007). Personal information, borders, and the new surveillance studies Archived August 11, 2017, at the Wayback Machine. Annual Review of Law and Social Science, 3, 375–395. ^ a b Agre, Philip E. (2003), "Your Face is not a bar code: arguments against automatic face recognition in public places". Retrieved November 14, 2004. ^ Foucault, Michel (1979). Discipline and Punish. New York: Vintage Books. pp. 201–202. ^ Foucault, Michel (1995). Discipline and Punish. New York: Random House. pp. 200–203. ^ Jensen, Derrick (2004). Welcome to the Machine: Science, Surveillance and the Culture of Control. Vermont: Chelsea Green Publishing. pp. 112–124. ^ a b c d e Chayko, Mary (2017). Superconnected: the internet, digital media, and techno-social life. New York, NY: Sage Publications. ^ Foucault, Michel (1977). Discipline and Punish: The Birth of Prison. New York: Vintage. ^ Sheldon, Barrie (October 2011). "Camera surveillance within the UK: Enhancing public safety or a social threat?". International Review of Law, Computers & Technology. 25 (3): 193–203. doi:10.1080/13600869.2011.617494. ^ Nishiyama, Hidefumi (2017). "Surveillance as Race Struggle: On Browne's Dark Matters". Theory & Event. Johns Hopkins University Press. 20 (1): 280–285 – via Project MUSE. ^ Browne, Simone (October 2, 2015). Dark Matters: On the Surveillance of Blackness. Duke University Press Books. p. 224. ISBN 978-0822359197. ^ California Fourth District Court of Appeal (June 25, 2014). "Riley v. California". Oyez – IIT Chicago-Kent College of Law. Retrieved February 1, 2013. ^ "The Secrets of Countersurveillance". Security Weekly. June 6, 2007. ^ Birch, Dave (July 14, 2005). "The age of sousveillance". The Guardian. London. Retrieved August 6, 2007. ^ a b c Eggers, David (2013). The Circle. New York: Alfred A. Knopf, McSweeney's Books. pp. 288, 290–291, 486. ISBN 978-0-385-35139-3. ACLU, "The Surveillance-Industrial Complex: How the American Government Is Conscripting Businesses and Individuals in the Construction of a Surveillance Society"
Bibo, Didier and Delmas-Marty, "The State and Surveillance: Fear and Control"
ICO. (September 2006). "A Report on the Surveillance Society for the Information Commissioner by the Surveillance Studies Network". "The NSA Files (Dozens of articles about the U.S. National Security Agency and its spying and surveillance programs)". The Guardian. London. June 8, 2013. Look up surveillance in Wiktionary, the free dictionary.